There was a time when every little girl wanted a dollhouse. 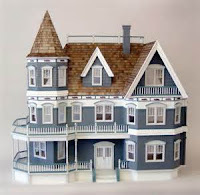 It didn’t matter if it was a fancy, all-out designer dollhouse, or a cardboard box decorated with odds and end; what was important was that you had a “house” of your very own to decorate as you pleased, and a place to play with those very special dolls. 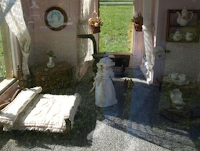 Here are the stories of six little girls and a boy; all promised a dollhouse at some time, and how each promise was lived up to … even after death. 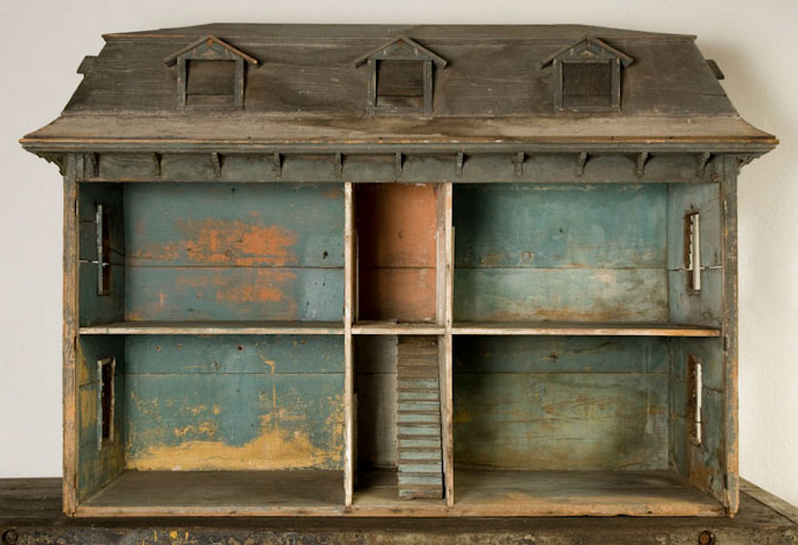 One of the oldest dollhouse markers indicates the grave of not one, but three babies from the same family who all coincidentally died on the second day of the month. Built in New St. Joseph Cemetery in Cincinnati, Ohio by John Keating, a stone mason in the city, the two-story dollhouse was constructed in remembrance of his daughter, Mary Julia (1867 -1868), son Eddie (1874 -1876), and niece Mary Agnes Keating (1875 -1876). 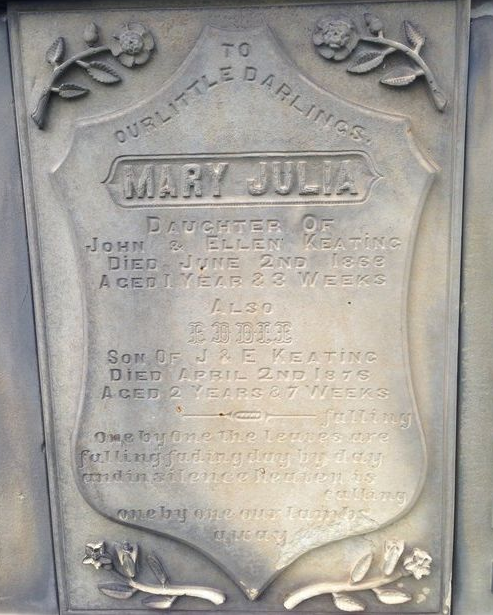 Vivian was only five years old when she died just before the turn of the century (1894 – 1899). 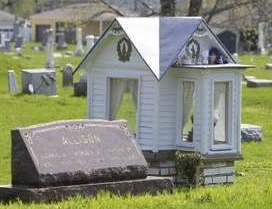 She was buried in the Connersville City Cemetery in Connersville, Indiana and her grave is marked by a distinctive one-story dollhouse; the house her father had been building as a surprise for her before her unexpected death. Vivian’s father, Horace Allison was a carpenter and did the actual construction of the house, and her mother Carrie sewed the curtains for the windows and a rug for the floor. The building has a tin roof, glass windows and its original woodwork and nails. Some of Vivian’s favorite dolls and toys were placed inside. Today, volunteers in this small community continue to care for the dollhouse, making repairs when needed, and lovingly watching over it. Lova Cline (1902 – 1908) was born without neurological or muscular control over her body. Her father, George built her a wooden dollhouse five-feet-tall and filled it with furniture he hand-carved. 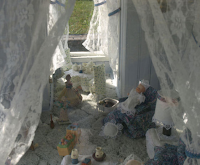 Her parents would carry her out to see the dollhouse, and Lova spent most of her days gazing out at it. Then, when she was six years old, Lova died. 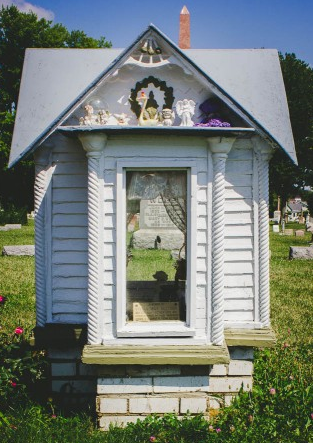 Her parents had the dollhouse moved to her grave in the Arlington East Hill Cemetery in Rushville, Indiana where Lova's toys were tucked lovingly inside. 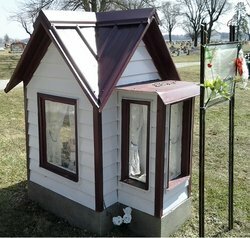 When Lova's mother died in 1945, her father wanted the dollhouse destroyed, but the cemetery caretaker convinced him to allow the dollhouse to stay. 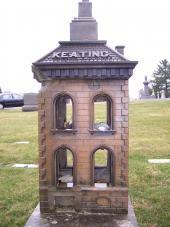 One year later, George died and the dollhouse, along with Lova's remains, were moved to rest beside her parent's grave. 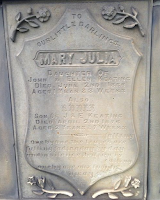 Today, a plaque telling the Cline's story is located in front of the house and on it is the only known photo of Lova, in her casket. The year was 1931; over 6 million Americans could not find work, so they began moving across the country, hoping that this “Great Depression” would be short-lived. 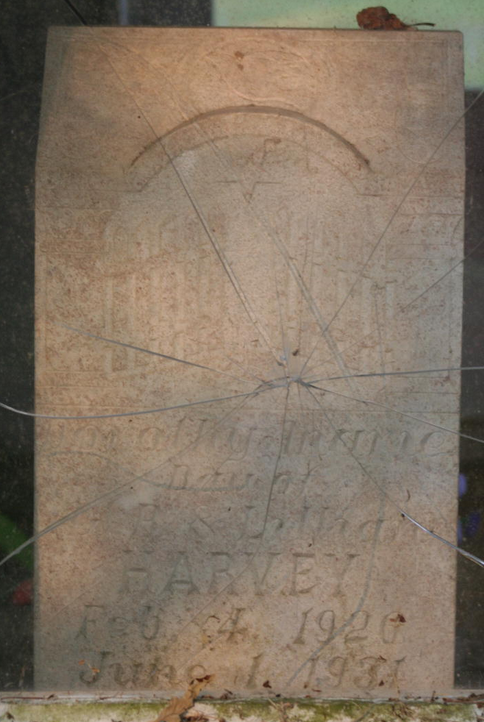 Tennessee was hard-hit and jobs were scarce as Mr. Harvey discovered. 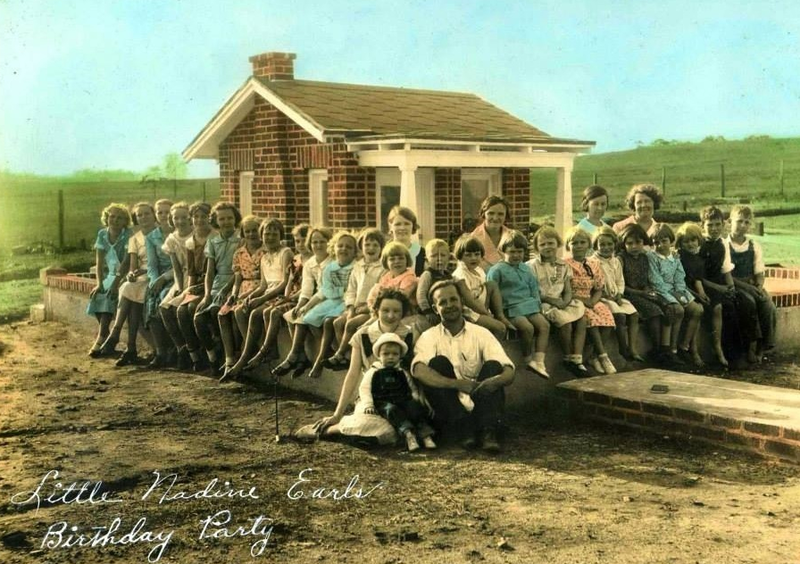 But all of that was forgotten when 5 year old Dorothy Marie (1926 – 1931) came down with the measles. There was little to be done. 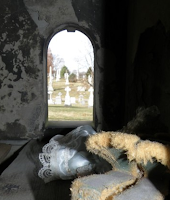 On June 1, Dorothy died and the residents of Medina, Tennessee pulled together to assist the Harvey family in burying her in Hope Hill Cemetery. Devastated, the family had to move on, searching for work. The community put up a stone to mark Dorothy’s grave and built a structure over it. Many claim this is a dollhouse, but since the gravestone is protected inside the house, (which has no curtains or furniture,) it appears to be a grave house; a building constructed to protect the grave and marker from the elements and nature. 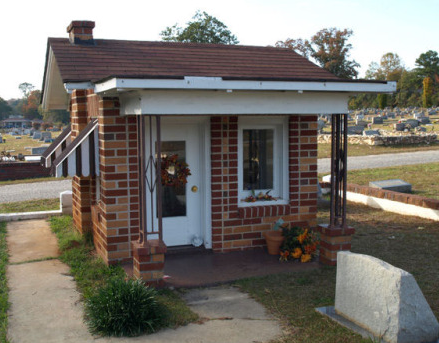 Grave houses were a southern tradition for hundreds of years, up until WWII. 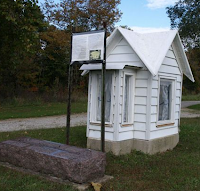 It would make sense that the community would build one over Dorothy’s grave as a symbolic way to protect her resting place. It may also have been another way to draw visitors over to Dorothy’s grave, getting people to stop and visit her since her family was gone. The holidays were approaching when four-year-old Roselind Nadine Earles (1929 – 1933) was diagnosed with diphtheria in 1933. For Christmas, she wanted a dollhouse. 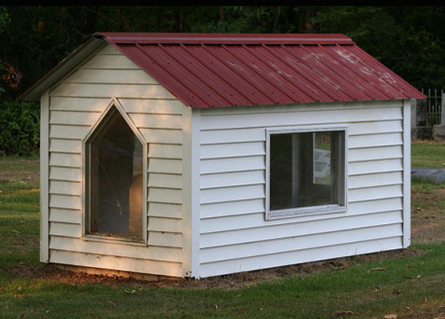 Her father quickly began building one, but her condition worsened and she told him, “Me want it now.” Just one week short of Christmas, on December 18, Nadine died. She was buried in Oakwood Cemetery in Lanette, Alabama, and her parents had the partially completed brick dollhouse moved to her grave and finished with a fireplace, metal awnings over the windows, a front porch and mailbox. 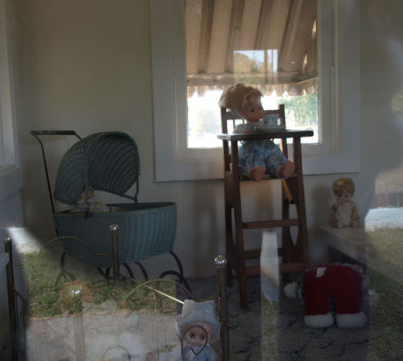 Inside, the parents placed her dolls, a tricycle, teddy bears, toys and a china tea set. Nadine’s grave stone is also located inside the house with the inscription, “Our Darling Little Girl, Sweetest in the World.” Along with her name, birth and death dates are the words, “Me want it now.” A picture of Nadine’s birthday party, held at the dollhouse the following April after her death, was added later and can be seen from the window. The dollhouse is still decorated for each season by local residents with extra care taken to create a beautiful Christmas.